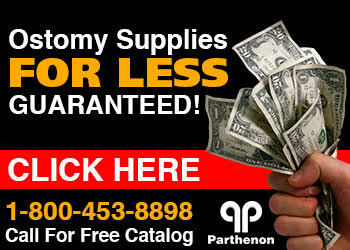 The Parthenon Company Blog - Specialists in Wound and Ostomy Supplies: Ostomy Supplies Discounted All Day Everyday! Ostomy Supplies Discounted All Day Everyday! There's no question that the economy has slowed and people are cutting back on their spending. Even the items you use on a daily basis (toilet paper, tooth brush, milk, gas, food, utilities) have gone seen recent price increases. If you need colostomy pouches, ileostomy, urostomy or wound care dressings, it is especially important to know that you don't have to pay premium prices for the items you need to care for yourself. When you are a customer at the Parthenon Company, you are given the best customer service possible. Our staff makes the greatest effort to get you the medical supplies YOU want. If there is ever a back order/shortage, we don't just substitute items. We exhaust our supplier network to find that item and if still no success, we take the obvious steps to contact you to discuss alternate products. Not only that, we guarantee the lowest price. If you find a lower advertised price from a U.S. based company, we will beat it by 5%. Finally, we take great care to carefully package these items to eliminate damage caused in shipping them to your door. Next time you are shopping for your ostomy supplies or wound dressings, give Parthenon a call or check us out online!